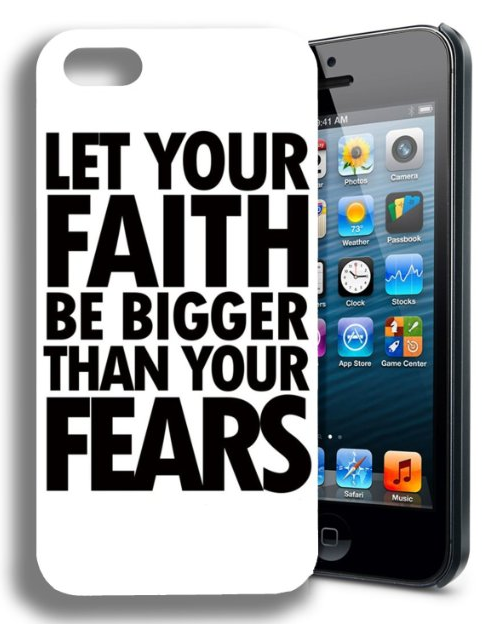 "Let Your Faith Be Bigger Than Your Fears" iPhone 5 Case Only $1.84 PLUS FREE Shipping! You are here: Home / Great Deals / Amazon Deals / “Let Your Faith Be Bigger Than Your Fears” iPhone 5 Case Only $1.84 PLUS FREE Shipping! “Let Your Faith Be Bigger Than Your Fears” iPhone 5 Case Only $1.84 PLUS FREE Shipping! for Only $1.84 PLUS FREE Shipping!